Home » News » Press Releases » Is a new Israeli law about to ban BDS supporters from entering the country? Adalah, ACRI demand Knesset members reject bill that would prevent foreign non-residents who have publicly expressed support for BDS from entering Israel. The Israeli Knesset is expected to vote in the coming days on a bill that would ban foreign supporters of the BDS movement from entering Israel. If the Knesset approves the Entry to Israel Law (Amendment No. 27) (Denying a Visa and Residency Permit for Advocates of Boycotting Israel), it would prevent foreign nationals or non-residents who have publicly expressed support for the boycott, divestment, and sanctions campaign from entering Israel. "No visa and residency permit of any type will be given to a person who is not an Israeli citizen or does not have a permit for permanent residency in the State of Israel if he, [or] the organization or entity for which he works, has knowingly issued a public call to impose a boycott on the State of Israel, as defined in the Preventing Harm to the State of Israel through Boycott Law, 5771-2011, or has committed to participate in such a boycott." Adalah – The Legal Center for Arab Minority Rights in Israel and The Association for Civil Rights in Israel (ACRI) sent a letter to Knesset members on 30 January 2017 demanding they vote against the bill. Adalah Attorney Sawsan Zaher and ACRI Attorney Oded Feller wrote in their letter, "This bill seeks to prevent the entry [into Israel] of foreigners based upon their opposition to [Israeli] government policy and their political positions. These irrelevant considerations have clear political motivations aimed at permitting entry into the country only of foreign nationals who support Israeli state policy and the majority political perspective." The law, if enacted, may also cause direct harm to Palestinians now facing the family unification process in accordance with the terms of the Citizenship and Entry into Israel Law. This law prevents Palestinian citizens of Israel who are married to residents of the occupied West Bank and Gaza Strip and other so-called "enemy states" from living with their families in Israel. "Since the [Citizenship and Entry into Israel] Law was legislated in 2003, it has impacted countless families. Many of those with temporary residency status, and some 8,000 individuals holding Israeli entry permits, are unable to upgrade their status and obtain permanent residency or citizenship. 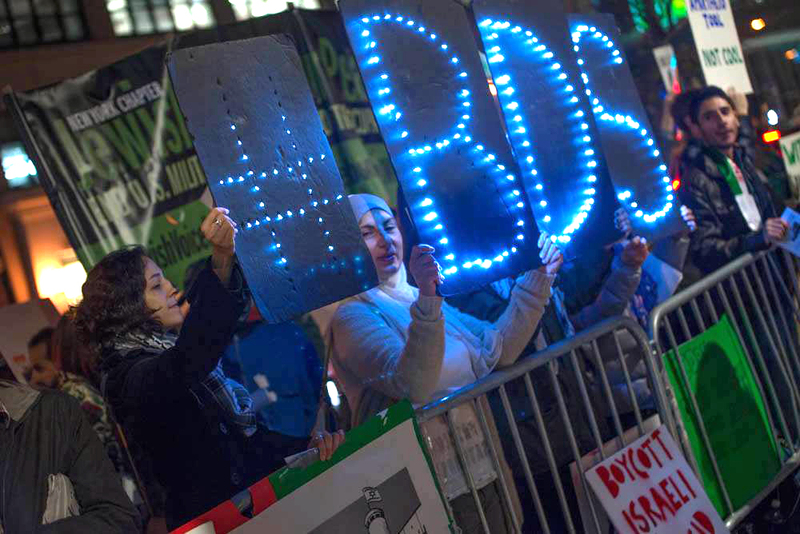 This new [BDS] bill is liable to have severe repercussions for a large pool of families strictly because of the political opinions they might hold." The BDS law would also affect Palestinians living in the Occupied Palestinian Territory:"If approved, this bill will harm the right of Palestinians residents of the OPT who might have called for a boycott of Israel to establish personal, family, and professional connections with family, friends, and colleagues [who are citizens of Israel]." Attorneys Zaher and Feller said the law, if enacted, can also be expected to infringe upon freedom of expression. "The Israeli interior ministry is not authorized to stand at the country's front gate and decide for Israeli citizens and Palestinian residents of the OPT – who are dependent upon Israeli border crossings – which opinions and perspectives are worthy of being heard. Freedom of expression is not just the right to express oneself, but also the right to be exposed to perspectives – even those perspectives considered outrageous and infuriating by the majority of [Jewish] Israelis. Preventing the entry of an individual into the country does not just harm the right to freedom of expression of he or she whose entry has been barred, but also the freedom of expression of Israeli citizens and Palestinian residents of the OPT." Adalah and ACRI call on members of Knesset to vote against the new BDS bill.